22-year-old indie popster Trevor Powers is better known as Youth Lagoon these days, and he's just released a video for the track "July." The tune comes from the Boise, ID-based musician's lo-fi debut album The Year of Hibernation. 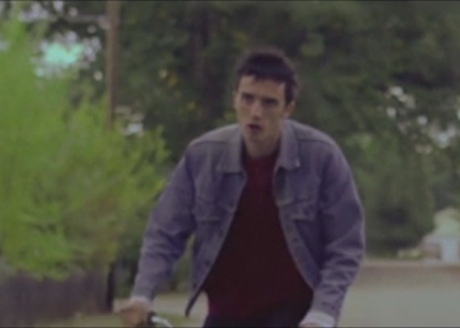 The clip starts off nicely enough with some summery shots of bike rides and leisurely drives through the suburbs, but it's only fun and games until a guy gets beaten up and thrown in the back of a car. Then everyone else gets nosebleeds. Unsurprisingly then, the video's a bit of a creepy one, but fits pretty well with the dreamy song. Check out the video for "July" below and see Youth Lagoon's upcoming Canadian tour dates here.